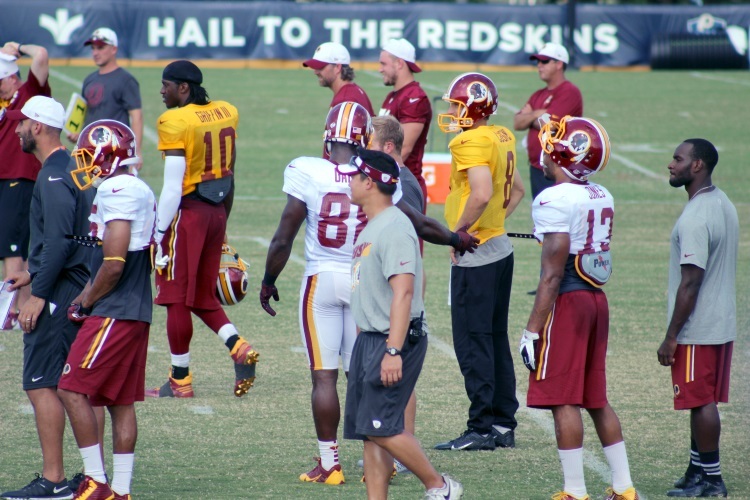 If you ever wanted to get up-close and personal with your favorite football team, training camp is the way to go! 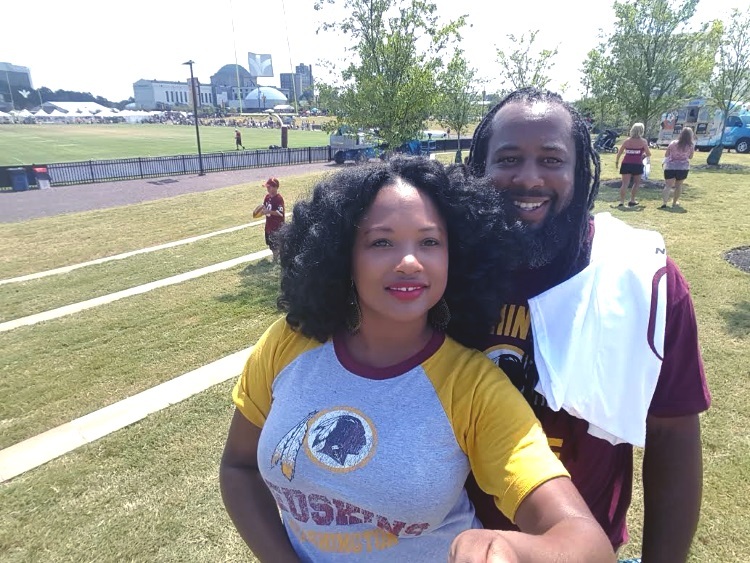 Thanks to Comcast SportsNet Mid-Atlantic, Ian and I were able to attend Redskins Social Day at the Bon Secours Washington Redskins Training Center in Richmond, Virginia last Sunday. We had a great time. 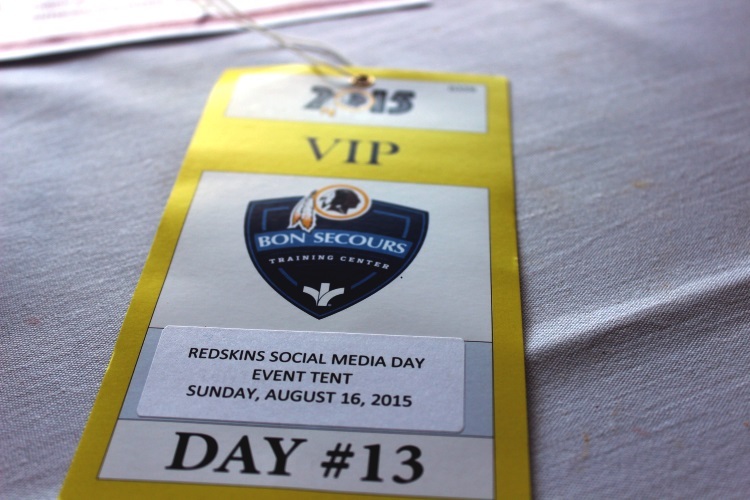 One hundred Redskins fans and "social-ites" were offered the opportunity to experience Skins Camp, VIP style. A special section was reserved for VIP and media. There were tents erected for fans to sit under comfortably, shielded from the sun. These sections were set-up closest to the fields where the Washington Redskins practiced their plays and performed training routines. There were some fun perks and prizes involved as well. 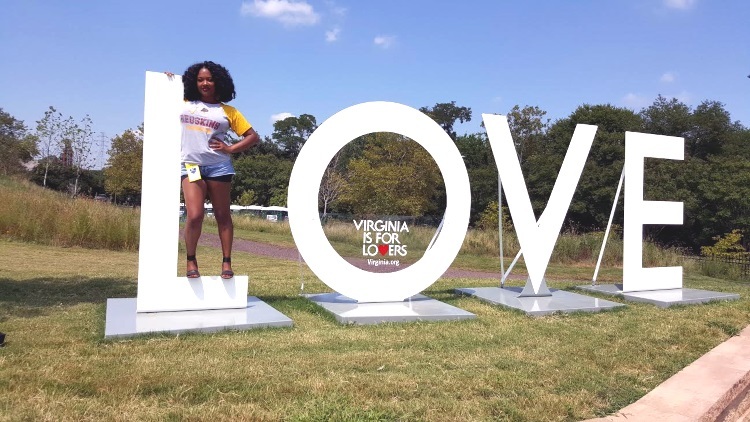 The Redskins Social Day team provided a boxed lunch, unlimited sodas and water, a t-shirt, fun giveaways with awesome prizes and increased access to the players. It was pretty cool to see the team just walk through, right in front of your face. You could literally reach out and touch them (don't try that though). Ian and I spent most of our time doing a scavenger hunt. Using the Redskins mobile app on our devices (the iPhone app was having difficulty connecting), we were given clues that sent us around the entire park to collect badges. When in close proximity, the app would send a notification that you successfully found the location. Ian found all five, but for some reason his phone would not log them in properly. Bummer. The grand prize for winning this was a signed Pierre Garcon jersey. Training camp is a real treat. Unlike a football game, the team is more relaxed and playful. They don't have to be so serious and intense. There are moments where you may catch a player dancing on the field, telling a joke, coming over to the crowd to give love or making eye contact with you. 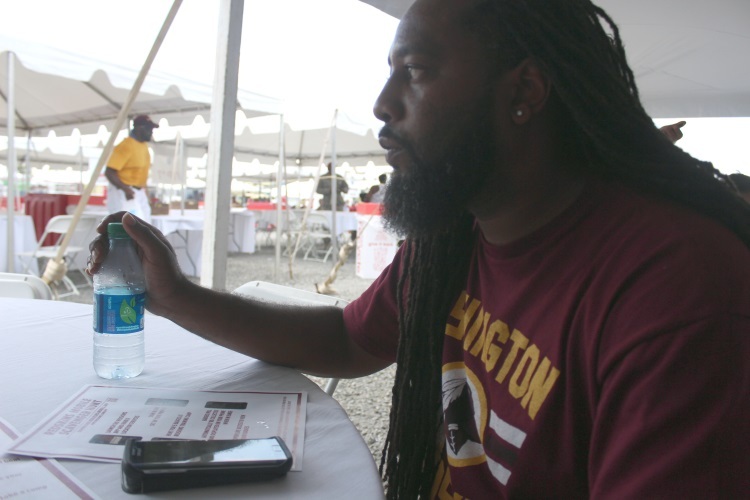 If you're lucky enough, like some of the Redskins Social Day participants, you may even receive an autograph from the quarterback or your favorite player. So, bringing your most prized memorabilia is a good idea. They will even pose for pictures. Say "cheese". 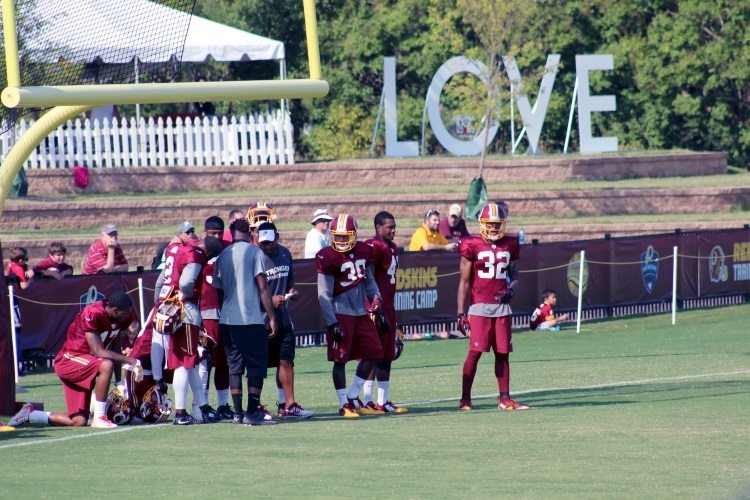 August 16th, 2015 was the last practice open to the general public at the Richmond facility. But, there is always next year (Today, fans are enjoying Fan Appreciation Day in Asburn, VA). 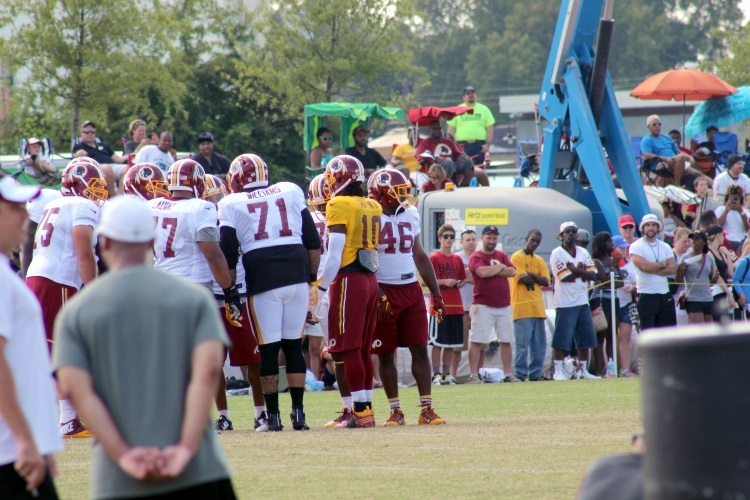 All the information that you need to know about Redskins training camp can be found in the FAQs section on Redskins.com. 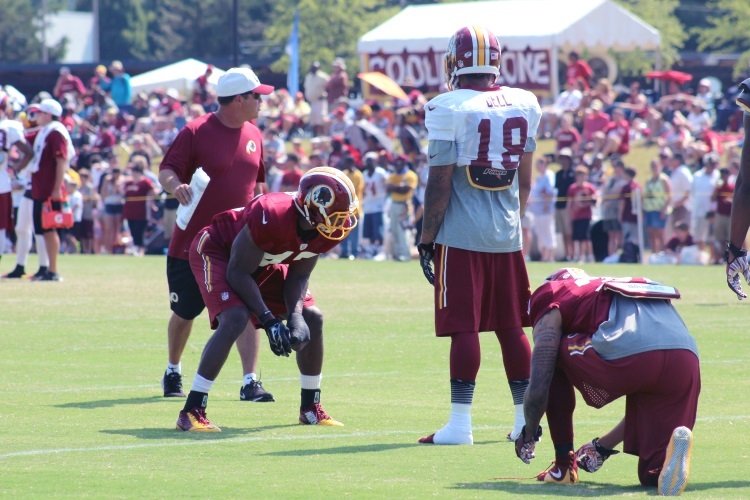 You can also sign up to receive updates on all things Redskins so that you'll never miss a great event such as this. Even though this was a day full of football, it was also a day for relationships. I saw so many families, couples, and fans sharing a great experience together. The father and son, whom I was standing next to at one point, looked down at his son and said, "I'm so glad you get to see this". The fan who was got a bit emotional and said, " I never been to nothing like this, man. I'm excited." I also used the day as a way to spend some quality time with my love. It's because of him that I'm a "default Redskins fan". It's more of a supportive thing. But, life is always better when done together. The day, well, it was just perfect! Thanks again to everyone for putting on a great event, including sponsors @CSNMA, @CSNRedskins. Keep an eye out for next year's event so that you can get in on all the fun. I would like to add that there are definitely levels to being a fan. It's a big fascinating to see some of the dedication that goes into being a fan of a sports team. It can also be a bit over-the-top when people become possessive or try to outdo one another. My whole thing is – if you're a fan, be a fan of the fans. Stop competing. You're rooting for the same team. Don't miss a post! Have Mommy 2K updates delivered to your mailbox. Sign up here.